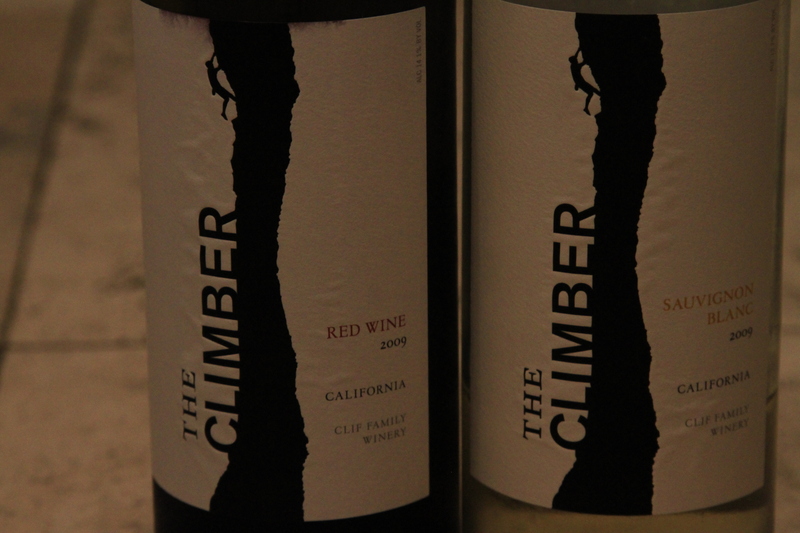 Clif Family Winery, The Climber 2009 Sauvignon Blanc, California. The blend: 80% Sauvignon Blanc, 13% Pinot Gris, 5% Riesling, 1% Pinot Meunier and 1% Muscat. According to the winery the fruit is sourced from Organic and sustainably farmed vineyards in Lake County, Mendocino County and Lodi. The juice was fermented in 100% stainless steel and did not undergo malolactic fermentation. The nose is quite pretty, with sweet floral and tropical fruit notes. The palate is more complex than the $12 retail price would suggest, yet still within the parameters of a California Style Sauvignon Blanc. The palate is predominantly melon and citrus. The Riesling and Muscat add a slight sweet acidity to the Sauvignon blanc. According to Clif Family Winery the fruit comes from sustainably farmed vineyards in Mendocino and Lodi. Each component was fermented separately and then blended prior to bottling. This wine taste like an uncomplicated Zinfandel from Lodi. Fruit forward, jammy with a little black pepper spice. Hidden in the mix is a hint of smokey Syrah as well. This wine was not as interesting or palatable as its white counterpart. I would suggest pairing this with frozen pizza on a weekday. I am looking for the name of a wine store in Boulder Colorado within 20 miles of the zip code 80301 to purchase red wine climber. I love it, and the bottle is awesome, because I am a climber! Sunflower Market sells Cliff winery wines.